Teleradiology is a form of telemedicine where diagnostic images are digitally transmitted from one place to another for reporting, consultation or second opinion. Radiologists and specialist radiologists become available for the benefit of the population independently from their location and even without borders. Our company provides teleradiology service for UK hospital on a daily basis. Our strategic partner is the Iconomix Ltd, the market leader teleradiology service provider in Hungary. 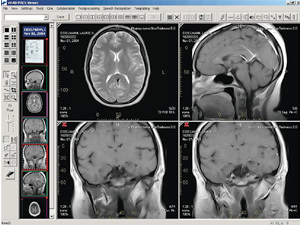 The company provides high quality and effective solutions for the problems of diagnostic imaging. 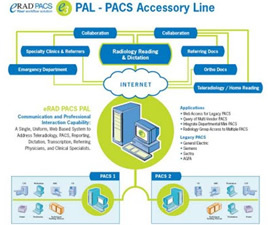 Their service is based on the solution of eRAD Image Medical Inc. and the eRAD PACS. We are continuously seeking new national and international partners for cooperation.